Love Shaker | Add a lot of love to your life! 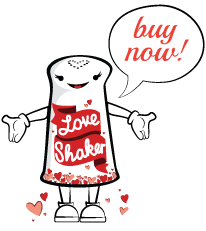 Love Shaker is the perfect gift and the perfect way to share love with everyone and everything in your life! Juju knew exactly what to do with her love shaker! Give the Gift of love ! Special Gift Services.